For Cleaver, success in 2018 included qualifying for the Olympic Trials Marathon not once, but twice. First up was her win in November at the CNO Financial Indianapolis Half Marathon in a time of 1:12:47. 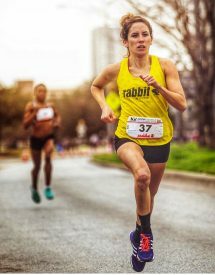 That race served as her final tune up before the California International Marathon, where Cleaver ran a personal best of 2:36:13 to achieve the USATF A standard for the trials.